There are 9 posts tagged BLE Beacons. It’s refreshing to see how beacons and sensors are evolving in market sectors that are mostly invisible to the general public, but have far-reaching impact on specialized industries. And one such application that we love here at Beacon Blog is the creation of Moocall. Moocall noninvasively hooks onto the tail of a pregnant cow (unlike more invasive cow birthing monitors) and sends a text message to the farmer when the cow’s about an hour away from giving birth. It was designed to free farmers from keeping vigil over pregnant cows and to help increase live births and farm profitability. The device, which the company says can be shared among 50 to 60 cows, uses 3-D motion sensors, algorithms, and an embedded roaming M2M SIM card that claims it can pick up even weak network signals. After losing a heifer and her calf back in 2010, Niall Austin, one of the founders of Moocall, came up with the idea of using sensors to monitor births and alert farmers when cows are in labor. Having realised this was a common problem, Niall researched to see if a solution could be worked out. And thus, Moocall was born. Getting the product to market has taken 3 years and a significant capital investment. Moocall was launched commercially in January 2015 and since then thousands of units have been sold and the general reaction from customers has been phenomenal. We reckon this fantastic gadget will have far-reaching impact on farmers of the world. 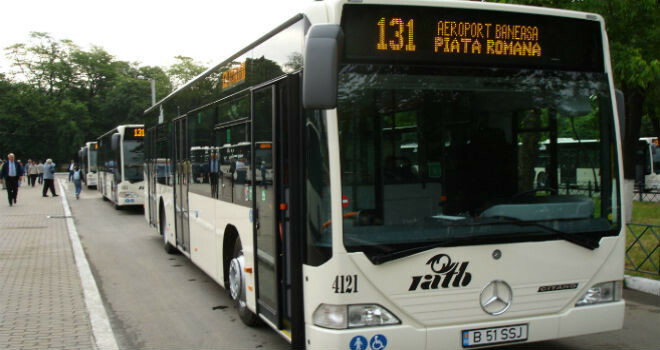 Five hundred buses in Romania’s capital, Bucharest, will soon receive Bluetooth Low Energy (BLE) beacons. The beacons will serve to guide blind passengers on and off buses, without the need for any assistance. So far, forty of the BLE beacons have been installed already, with the rest expected to be in place by the end of August. A visually impaired user would set up the app on his or her phone before leaving home. The phone application would then allow the user to follow whichever bus lines he or she needs to complete the trip. Each bus in this system has a unique ID in the form of an iBeacon, which alerts the phone of the visually impaired person as to the fact that the bus is arriving. The alert is sent when the iBeacon-equipped bus is 50-60 meters away from the station. Once the bus actually arrives, it will also be informed by iBeacon of the fact that there’s a blind passenger in the station. The bus will begin to beep repeatedly so as to inform the app user of its location even if there’s multiple buses in the station at the time. The beeping stops once the passenger has boarded. BLE system will simplify travel for tens of thousands of blind in Romania. Now, thanks to the system, tens of thousands of blind people will be able to easily access any area of Bucharest. They will be able to board, leave, and also transfer buses with ease, since the mobile app will help users find connecting buses easily. By the start of September, the whole Bluetooth system will be up and running, and available for free to anyone in Bucharest. Who came up with and funded this program? 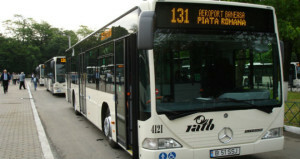 The program is the result of a project known as Smart Public Transport (SPT). It was organized by Onyx Beacon, provider of the bluetooth beacon technology, RATB (Bucharest’s public transportation agency), and visually impaired project coordinator Tandem Association. The SPT is one of eight projects that received funding by aVodafone Romania Foundation called “Mobile for Good.” The Mobile for Good program is meant to promote the use of mobile technology for social causes. Onset, a world leader in data loggers for building performance monitoring, today announced that the HOBO MX1101, the company’s first data logger that measures and transmits temperature and relative humidity data wirelessly to mobile devices via Bluetooth Smart technology, is helping to protect a copy of the Magna Carta. Originally issued by England’s King John in June 1215 to prevent civil war between the king and his barons, the Magna Carta is a world-famous symbol of justice, fairness, and human rights. Having inspired and encouraged movements for freedom and constitutional government for hundreds of years, the four remaining copies have been awarded ‘Memory of the World’ status by the United Nations Educational, Scientific, and Cultural Organization (UNESCO). 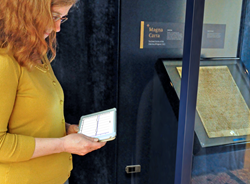 The best-surviving copy of the Magna Carta, currently on exhibition in Britain’s Salisbury Cathedral to commemorate the document’s 800-year anniversary, is stored in a glass display case along with an Onset HOBO MX1101 Bluetooth Temperature/Relative Humidity data logger. Because the display case is sealed and protected by alarm systems, there was no way to constantly monitor temperature and humidity without going through the time-consuming and complicated process of switching off the alarms and accessing the case. To address this issue, the Cathedral’s exhibition team installed the HOBO MX1101 data logger, purchased through Onset’s UK distributor, Tempcon Instrumentation Limited. The self-contained wireless data logger, which works with Onset’s free HOBOmobile™ app for logger setup and data management, enables staff to use a smart phone or tablet to access the environmental data at any time from a distance up to 100 feet, without having to open the display case – making the HOBO MX1101 the perfect choice for use in the restricted-access conditions of the Cathedral. To learn more about the HOBO MX1101 Temperature/ Relative Humidity data logger, visithttp://www.onsetcomp.com/mx. GPS technology has made outdoor positioning highly successful, but due to the signal attenuation caused by the construction materials of buildings and the lack of mobile signals underground, indoor positioning systems cannot rely on GPS technology. Iknaia has developed an Indoor Positioning System (IPS) that will help you locate your staff using Bluetooth technology embedded into two-way radios and other Bluetooth enabled devices. These devices can be tracked using their Bluetooth ID, to give real-time location information on the whereabouts of your staff, anytime, anywhere. Iknaia uses Bluetooth Smart or (Bluetooth 4.0) technology to continuously scan for any Bluetooth enabled device that repeatedly broadcasts its presence to nearby Bluetooth Detectors. The server then calculates the position and reports its whereabouts in real-time onto a web management console. McNally continues, “This is a flexible and standardised technology allowing the ability to add any Bluetooth enabled device to be ‘discovered’. So Smartphones, Tablets, Laptops, Two-Way Radios and DECT phones can be configured to work with our platform. Using Bluetooth wireless connectivity also won’t affect or interfere with any radio or mobile network performance”. The benefits and opportunities provided by using Iknaia IPS are extensive, inexpensive and ever expanding. UriBeacon: More Disruptive than iBeacon? 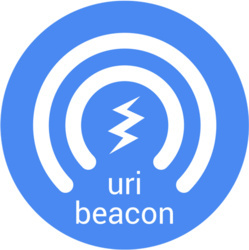 In October 2014 Google created UriBeacon, an open specification to connect Bluetooth Low power beacons to the web, an experiment they called the Physical Web. UriBeacon could well be bigger than iBeacon in its disruptive role, providing a bridge between the physical and digital worlds. For enterprises that can afford a web site but can’t afford a mobile app, UriBeacon brings the benefit of digital to physical convergence. We should expect tools like WordPress and Adobe Creative Suite to extend the web publishing system to cater for UriBeacon. These offerings are in a position to tie Physical Web into the digital web publishing tools with which millions of content producers are already familiar. GPS Business News’ Steve Statler explores why that is, how UriBeacons work and what to expect when you start browsing the Physical Web. via Google’s UriBeacon: More Disruptive than iBeacon?. One of the challenges that business owners face is tracking inventory or assets. But with the advent of Bluetooth 4.0 you can track inventory or assets with ease and at a reasonably low cost. These Bluetooth tracking devices can attach to almost anything such as Smartphones, tablets, laptops, briefcases and even storage keys. Once you’ve paired the tracker with your iPhone or Android phone, these devices work by sounding an alarm when the tracker and your Laptop get separated from each other. This can be helpful if someone tries to walk off with your briefcase. But you can also set up ‘safe’ zones, such as your home or office, so your phone doesn’t start beeping every time you wandered away from your wallet. However if you did lose your wallet in the office you can open the app and press a button to make the tracker start beeping so you can then locate it. There are several companies that provide inexpensive options to help you find your smartphone or laptop just by using a smartphone app. The cloud is more than just digital assets storage or the moving or corporate data – it can be a tool for protecting, securing and monitoring physical assets too. The Internet of Things (IoT) is connecting people to the cloud in unique and powerful ways. Enterprise versions of some of these devices will empower businesses and help them to keep track of all their assets. Hipkey (www.hippih.com/hipkey) For those with no inventory, but a few assets to monitor, HipKey is a good Bluetooth tracking device – keeping your tracked item connected to your iPhone. The device is aimed at consumers, but if you have a small number of devices or people and are also iPhone users, this one is fast and easy and will locate assets up to 50m. At $89.99 it is a little expensive if you have multiple items to secure. It’s currently only available with IOS app. Sticknfind (http://www.stick-n-find.co.uk) If your business needs to go beyond tracking a couple of items, you will probably want to invest in the StickNFind sticker. These are quarter-sized stickers that come in several colours, which you can attach to anything you want to track. StickNFind also has inventory managing “Enterprise Beacons” that will help you track larger numbers of items. These keep track of inventory in real-time, increasing security and decreasing inventory time. Turn your iOS or Android devices into radar so that you can find up to 20 StickNFind marked devices in a 30-meter radius. A pack of 2 costs £49.99. Tileapp (www.thetileapp.com) The power in the Tile app, is that you can grant access to different phones, so it would allow you to have a team of people locating a lost item. This distributed network is key for Tile: other people can’t see your tiles without permission, but if they have the app running in the background and your tile is nearby, you’ll be able to see where it is. Tiles are cool looking devices, but don’t offer as many features as some of the newer trackers. You can’t set up safe zones and there is no two-way buzzer. Worst of all, you can’t change the battery, when it dies in a year you have to throw away the entire tracker and buy another one. Compatible with both IOS and Android 4.4 Kitkat or higher. Tiles will set you back at around £22.50 each. Protag (www.theprotag.com), have three products in this market, the G1, Elite and the Duet. Both the G1 and Elite are credit card size cards that have the unique feature of a USB charging port, which prolongs its useage, whereas the Duet runs off a small coin battery. The Duet is more aimed at consumers and comes in multiple colours. Another handy and unique function that all of the Protag products have is two way buzzers, so if you end up losing your phone, you just press the button on the locator to sound an alert on your phone. The Protag G1 is priced at £20.97, the Duet £24.90, and the Elite £66.34. Lassotag, (www.lassotag.com), is one of the least expensive, available to buy online at only $19.99. It comes in three colours and has a range of up to 50ft with a battery life of three to six months, the larger model called the LassoTag HD, has a rechargeable battery instead. There are some unique features, for example, the app shows you the tracker’s battery life and temperature. And you can personalise the sound your phone makes when you’re too far from the tracker – even record your own voice. But no geofence and no two way communication, plus there is an annual fee for some of the features. You can connect up to 6 Lassotags to your device. Only available on IOS. TrackR, (www.trackR.com), offers ‘Crowd GPS’. None of these Bluetooth trackers have GPS, so you can’t look up their location on a map. But Tile, LassoTag and TrackR, all offer a cloud based service so that anytime someone with one of these devices walks past your lost thin, that person’s phone silently notices it and lets you know. Your phone lights up and sows the passerby’s location on a map. The concept is brilliant, but in practice they’ll need to sell a lot of the devices to make the service work properly. The TrackR has a sharp design that can also be engraved, works up to 100ft, compatible with IOS and Android as is available to pre-order on their website for $29. Knowing exactly where valuable tools and equipment are in “real time” can be key to a successful construction project, as can protecting employees in an industry where accidents and injury are an ever present danger. RFID (radio-frequency identification) technology has been widely used for tracking tools, equipment, materials and there are numerous GPS tracking systems available to track the location of vehicles coming in and out of the jobsite. However, the advent of a new technology, Bluetooth Low Energy (BLE) or Bluetooth 4.0, has emerged and has much wider uses to improve the ability of construction businesses to keep track of a much wider variety of assets even down to individual tools and log and monitor activities on site and to improve health and safety. GPS doesn’t work indoors or underground and RFID offers limited communication, whereas BLE is easily deployable in a wider range of locations, it’s very low power and is a lot more flexible when it comes to converging technology, making it a more ‘Future Proof’ investment. BLE has the capability to track and monitor workers and assets more accurately, with the added functionality of being able to integrate into legacy back end systems to send audio and content to connected mobile devices (approx. 80% of all recent mobile devices). Adopted by IOS, Android and Windows operating systems, its low power and cost, as well as its robust and reliable communication means BLE is quickly becoming the technology of choice. One such company, Iknaia (www.iknaiatracking.com), London, UK, has built a completely robust end to end solution combing BLE and Wi-Fi. Iknaia’s beacons present their location to their detectors in ‘real-time’. In addition the detectors can connect to mobile devices and send content specific to that device based on its proximity. Iknaia’s data is pushed into the cloud and presented on an easy to use online management console, optimised for all devices; PC, tablets and Smartphones. With Apple and Google adopting beacon technology and developing applications using BLE, we’ll see a lot more uses for this technology in years to come.